Asus | Follow The Fact! 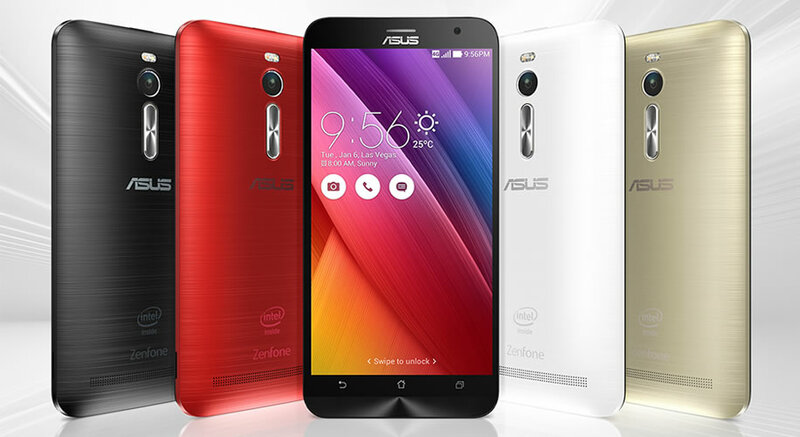 7 reasons to choose Asus Zenfone 2 as your next phone! Recently a friend of mine asked me to recommend a smartphone to him. Before he could tell me his requirements, I said Asus Zenfone 2. Well, I was too excited, but then I asked him to first tell me more about his budget and requirements from the phone. So he said he wanted something under 20,000, with the latest technology and a cool camera. 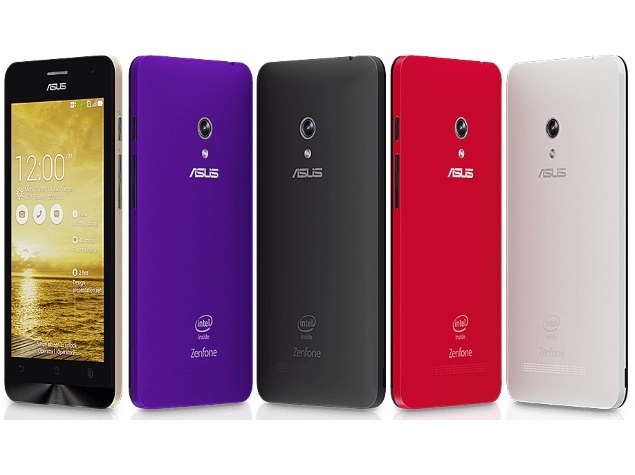 So I said it again, go for the Asus Zenfone 2. And it makes sense; why would you spend so much in a phone when you can get the same or even better specs at such a less price? Gone are the days when there was just one brand and everything revolved around it. Today the customer wants the best, and there’s hundreds out there trying to provide that. So why the Zenfone 2, you ask? Let me give you my reasons. Let’s begin with the first thing everybody looks for in a phone these days; The Processor. The Zenfone 2 comes in 2 models, and both have a Quad core processor, and trust me, it is what you need given the speed with which the app market in India is evolving. Almost all the online shopping, travel, banking companies want you to use their app. I think you’ll need a Quad core to handle all of that. Not to mention that it’s a 1.8 GHz processor, so even that 1.5 GB HD game of yours can be played seamlessly. Camera. With a 13 MP back and 5 MP front camera and 1080p Video recording, this phone is actually saving you a lot of money since you’ll probably not need to buy a digicam. Memory. Talking about the RAM, we got two models that offer 2 and 4 GB RAM. Yep, 4 GB, I’m not kidding. Not only is the Zenfone 2 the first such phone to offer this, it works like a charm. You can read the reviews yourself. And even for the ROM you have multiple options in 16/32/64 GB, not to mention the expandable memory that can add upto another 64 GB to your phone. Talking about the display, it’s a Corning Gorilla Glass 3, or what you may call the state of the art technology. A 5.5 Inch screen with a 403 ppi, trust me, you are looking at one of the finest screens in the category. Battery. It should’ve been the first point, but now that we’re here, how would you like your phone to have so many amazing features and still last for a whole day? It won’t sound so unreal when I tell you that this smartphone of yours is loaded with 3000 mAh battery. Even the best phones in this class offer a 2300 mAh. Oh, and it has a speed charging system, so the first 60% gets done in just 40 minutes… Sweet, isn’t it? With such a wide range of options available, it would be a shame if you can’t get the color of your choice. So let me make it easy for you with a picture. This is where most discussions of us Indians end, Price! So how much does it cost? Well, given the brand and looking at the features alone, I was expecting a big number at first. I mean, I have bought phones worth over 30000 that have less features than these. 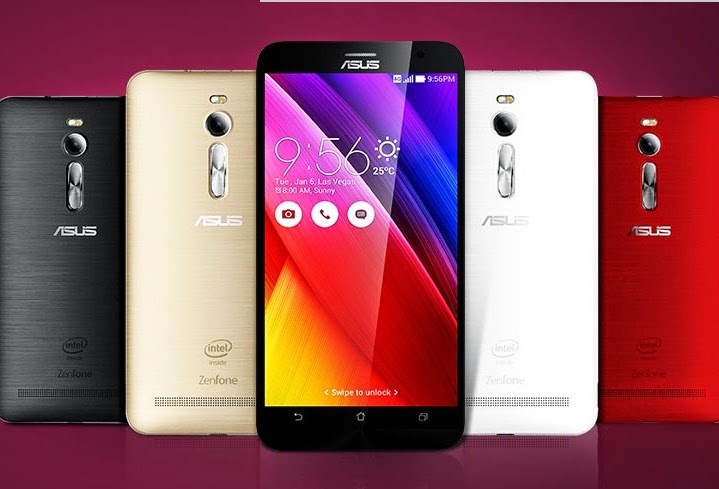 But here’s the good part, this range of Asus Zenfone 2 is available from 12,999 (2 GB Model) to 22,999 (4 GB Model). And if that doesn’t make you buy it right now, I don’t know what will! Choosing a phone can be a tricky task. A phone stays with you for probably the longest time in a day compared to anything else and no matter what you use it for, it is one of the most important gadgets you own. In short, it just has to be the best. It’s a good thing that Asus has made it easier for you. Go make it your next phone. Good luck. The unconditional love with Asus. Sleep for a few extra hours, have a little extra pizza, drink a little extra and watch two extra episodes of House MD. No, I wasn’t explaining how to celebrate the international extra day, this was how I spend my valentine day! Sad, isn’t it? No, really. Well, a bit you may say but there is a lot of upside too to not having a valentine around. Instead of going to what those upsides are, I would like to use this post to comment on something related. I recently came across a Dilbert comic strip where he explained why his mobile was a better partner for him than a girlfriend. On the risk of exposing myself to singlehood for life, may I just say how true that was!! And obviously, being the self obsessed jerk that I am, I do love me. So why not pamper myself a bit? Recently I was looking for a new phone to buy and I was searching on some top websites for help in choosing the best one. That was the time when I came across the Asus Zenfone and Padfone, which reminded me of the Dilbert comic. It was exactly what I wanted, exactly what I wished for! So here’s a reason why Asus Zenfone is my ideal valentine. Let’s dive into it a little deeper. What do you want in your ideal valentine? Well my list would something like this; A strong character, an intelligent mind, good looks, loyalty and obviously, affordability. Now let me tell you exactly why I think the Asus is the right valentine for me. Just like you need a strong partner to hold you when you’re down, the Asus zenfone comes with a hyper threading technology that helps running more programs at once and helping an efficient utilization of resources, therefore, making sure your phone won’t hang on you, ever! It will be there when you need it, once… and always. And just so you know, the case makes sure your Zenfone is physically strong and durable too! Intel Atom Processor with hyper threading and a network supporting up to 42 Mbps. That’s not it, you also get a pixelmaster for great photos and an intelligent Zen UI to make your life simpler. Now tell me, isn’t that all you want with your valentine, a simpler life? It definitely isn’t my first priority, but I’d love it if my valentine is hot! Who wouldn’t want to brag about his partner to his friends, right? Well, Asus got it covered too! Just taking a look at the Padfone mini I lost my heart, and the zenfone then put the final nail. I’ll let the looks speak for themselves. Thank you NDTV Gadgets for the image. Also, before you do the hefty comparisons, just look at how economical the whole range is! Which brings me to my fifth point. Well, after the fourth one of course. Once you go with Asus, they don’t think they’re done. They’ll stick with you. You know how I know that? Well, apart from the experiences from so many friends of mine who were too satisfied with the Asus warranty policies, the fact that Asus products come with a 30 day replacement guarantee and a one year replacement warranty helped a lot. Who needs a loyal partner, I guess everyone! Most people don’t say it, but half of their salaries are spent in calling their better halves 24×7 and gifting them thousands of things on millions of occasions! With Asus zenfone, that problem is definitely not there! With such an affordable range, you actually save more money than you spend. Now instead of telling you about the prices and other specs, why don’t I take you to the portal so that you can check everything out yourself? When it comes to tech, I am a very savvy person. See what I did there? Didn’t? Erm… well okay… here’s what I just found out. With a little effort, and the best of technology, you can probably do anything! Or at least that’s how it looks from the two new amazing products that Asus is offering. Behold, in comes the magic of innovation, the Asus All in one PC ET2040 ( http://www.amazon.in/b?ie=UTF8&node=5731179031 ) and the Asus Eee Book X205 (http://www.flipkart.com/asus-eeebook?otracker=ch_vn_laptop_promowidget_banner_tab_1&__view=desktop ) and if you didn’t really notice it, this sleek in style eeebook is priced at 14,999 bucks. Yep, that’s how they roll! The question was, if you had to pick one, which one will you go for. And to be honest, I have no freaking idea! Not because I am not aware about the two but I like them both so much that I can hardly pick one. So yes, it is going to be both for me! Here’s some of the features in the two. Starting with the ET2040, An Intel Pentium processor J2900 may not sound that cool, but combine that with Intel HD Graphics, 2GB Ram, 500 GB SATA HD, Windows 8.1 and 3 in 1 card reader along with the price of… let me pause for a moment here… just 25,999! Don’t you think it’s a steal at that price? For my home use I could not think of a better PC. Some of the features that put this thing out of the crowd are the innovative Gesture control and the oh so awesome 1 hour UPS backup so that you don’t lose your precious work and data. Coming to the steal deal called Eee Book X205, you couldn’t ask for this much at this price. An intel atom processor with Quad core!, Windows 8.1, 11.6 screen with Intel Gen7 graphics and a 2GB RAM coupled with a 32GB EMMC! Also, it comes in the coolest range of Dark blue, Red, white and even Gold!! And looking at this, you couldn’t ask for more, like really! As a brand, we already know what an amazing tech maker Asus is. With the best prices in the market, these two are going to go a long way. With a trusted Asus technology and other features like long battery backup in EeeBook, Microsoft 365 subscription, one of the smoothest touchpads and a really good keyboard, all your normal requirements are already fulfilled. It can be assumed that these two aren’t going to be the most ideal choices for the intense gamers and the crazy travelers, but they’re definitely going to be best choices for anyone who uses his PC for things like watching movies, completing documents, reading and browsing. So basically the target group is all of us! In short, I am going to buy both of them, while the Asus ET2040 will stay at my home and be used for my personal requirements like writing and blogging, I’ll use the EeeBook to watch movies on the go and make sure I stay connected, all the time! Smooth, isn’t it?